The Stellenbosch Village Museum is currently made up of four houses of historical interest and their gardens. These homes each represent a different period in the architectural development of Stellenbosch. The houses are Schreuderhuis, Blettermanhuis, Grosvenor House, and O.M Bergh, and their interiors and gardens have been beautifully restored, furnished, planted and decorated to illustrate the particular style and taste of the time that they represent. 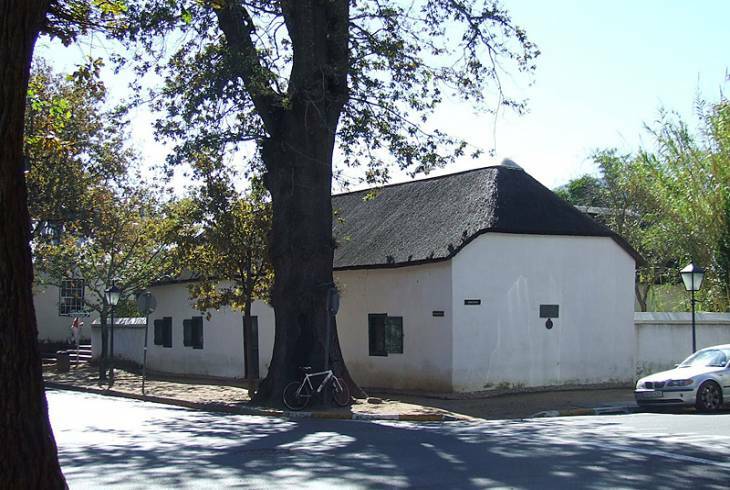 Blettermanhuis was built in 1789 by Hendrik Lodewyk Bletterman, who was the last magistrate of Stellenbosch to be appointed by the Dutch East India Company. It has been restored and furnished to illustrate a wealthy Stellenbosch home from around the period of 1750 - 1790. Grosvenor House was originally built by Christian Ludolph Neethling in 1782, and added to by successive owners until it reached its present appearance in 1803. A large garden and furniture from the early 19th century give character to this home, which represents the era 1800 to 1830. The Village Museum, Stellenbosch Information and Nearby Accommodation.